We look for all our young people to be successful learners enabling them to achieve in a caring and supportive environment. Working together is at the heart of The Vale Federation and our relationship with parents, carers and all the many professionals is central to helping our young people succeed. Everyone works to make this happen from ensuring the facilities are clean to raising funds for new resources, from supporting personal care to teaching a young person to communicate, from ensuring they get to school to sharing their day on their return – we all have a part to play. Together we work to provide the best that we possibly can to support all their unique learning needs. We are very proud of Booker Park, and you are very welcome to come and visit to see us in action. The school is organised into three departments. 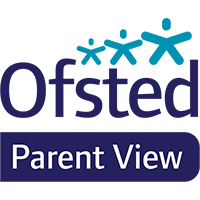 Redwood department caters for Early Years pupils with a range of needs, and primary aged pupils with profound and multiple learning difficulties, and pupils with low functioning autism and sensory processing difficulties. Silver Birch department is for children from Year 1 to Year 6 who experience a range of complex learning difficulties. Oak department is for pupils from Year 1 to Year 6 who experience moderate learning difficulties, some pupils with SEMH needs, and some with higher functioning autism. Approximately 45% of pupils across the school have an additional diagnosis of autism. We are fortunate to have wonderful facilities, including a hydrotherapy pool, a soft play room, a library, a family room, an observational mirror room, and a training room. We strongly believe in the benefits of multi-professional working, and have on site speech and language therapists, occupational therapists, and physiotherapists, and a school nurse. The Vale Federation is committed to safeguarding and promoting the welfare of children and young people. For further information please see the safeguarding page on our website or follow the link below.